Important Notice: The Vital Records Office Only Holds the last 24 months of Birth and Death Records. 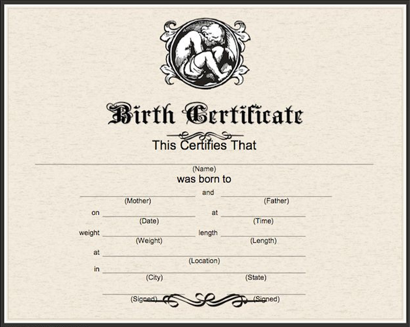 When requesting a Certified Birth or Death Certificate in person, please bring your completed application. The Sworn Statement must be signed in the presence of the local registrar staff. Requests received by mail must be accompanied by a notarized sworn statement. To determine if you are eligible for a certified copy and for details about informational copies, visit our Certified Copy Eligibility webpage. If requesting by mail, send your completed application and include payment in the form of a personal check, postal, bank money order (International Money Order only for out-of-country requests.) PLEASE DO NOT SEND CASH. 340 N. Mt. View Ave. Acceptable payment methods in person are cash, check, or money order. If no record is found, the fee will be retained for searching as required by California Health & Safety Code 103650 and a Certificate of No Record will be issued.